We would like to share with you just a very few of the stories of children who have died because of religion-based medical neglect. They are the tip of the iceberg, as many of these “faith-deaths” are never discovered. Bear in mind, too, that many children who have escaped death have ended up disabled or psychologically harmed as a result of this sort of neglect. In our view, these children’s parents are neither bad people nor morally innocent. We feel their tragically wrong behavior is motivated mainly by an allegiance to a rigid belief system, the ensuing peer pressure from the faith’s other adherents, a mistrusting fear of medical science, and a willful ignorance of the human body. Sometimes parents wake up in time to save a child, but too often they do not. Or, delayed by confusion and indecision, they wake up too late. Religious exemption laws add to the confusion because they are used by certain churches as evidence that the state endorses the withholding of medical care on religious grounds. The parents may not comprehend the risk they are taking with their child’s life when they believe that the state endorses their action. The Christian Science church even uses the religious exemption laws as evidence that legislators agree with them that Christian Science can heal all diseases as effectively as medical care. An unlicensed Christian Science nurse sat by Ian’s bedside for the last five hours of his life as he lay in a diabetic coma. She knew that he did not respond to anyone. She observed his vomiting, labored breathing, excessive urination, facial spasms, and clenched teeth. Nevertheless, her concept of care was to give him drops of water through a straw and to tie a sandwich bag and washcloth around his scrotum. She did not call for medical help or ask his mother to obtain it. Ian’s father filed a wrongful death suit against the mother, stepfather, Christian Science practitioner and nurse, the Christian Science church, and other church agents. A jury awarded him $5 million in compensatory damages and $9 million in punitive damages. The award was later reduced to $1.5 million. An appellate court dismissed charges against the church, but held that the practitioner and nurse had a duty to obtain medical care for the child. The Minnesota and U.S. Supreme Courts refused to review the ruling. McKown v. Lundman, 516 U. S. 1099, cert. denied (1996), is the first suit in the wrongful death of a Christian Science child to be presented to a jury. The higher court ruling that Christian Science “providers” have a duty to obtain medical care for a sick child may make them less reckless in children’s cases. However, Christian Science church officials trivialize the ruling, saying it is relevant only to Minnesota. “We’ll still continue to practice our religion as we have been for a hundred years,” said the church’s public relations manager. The New York Times, January 23, 1996, p. 1. Christian Science nurse Quinna Lamb Giebelhaus who cared for Ian testified that Christian Science is an excellent method of treating juvenile-onset diabetes and that Christian Science nurses are well trained to care for patients sick with all diseases. She was asked at trial what training she had received specific to the care of sick children. Her only answer was that she had been taught to cut sandwiches in interesting shapes. Giebelhaus has a testimony about how she healed herself with Christian Science in the January 26, 1998, Christian Science Sentinel. Sixteen-year-old son Neil Beagley became very ill shortly after the death of his little niece Ava in March, 2008. His parents Jeff and Marci Beagley were members of the Followers of Christ congregation in Oregon who eschew medical care in favor of communal prayer, the laying on of hands, and anointing with olive oil. Neil’s aunt reported to the Department of Human Services that Neil’s throat was closed up, he was having trouble breathing, and she was afraid he might die. Marci later testified that she too was afraid Neil would die but did not express that fear to the DHS worker who visited the home. Instead, both parents asserted that Neil only had a cold or perhaps a case of the flu. Thus misled during his ten-minute visit and unable to determine anything more serious himself, the DHS worker took no further action. Three months later Neil died of complications from a bladder outlet obstruction that he had probably had all his life. On autopsy, urine was sloshed throughout his abdomen and even in his lungs. His kidneys were working at 4% of capacity, and his heart had swollen to twice the normal size trying to cope with the damage. He vomited nearly daily the last week of his life. A “feeding journal” kept by his mother recorded that Neil was eating only tiny amounts of food, sometimes just a spoonful, for eight days and was even being fed baby food. The Swans left the Christian Science church shortly after their son’s death and later founded CHILD. The Christian Science Church continues to misinform its members and endanger their children by claiming it can heal spinal meningitis. CHILD believes its “healings” are of viral meningitis, which may well be symptomless and, in any event, usually causes no permanent injury with or without treatment. By contrast, the bacterial form of meningitis which killed Matthew Swan is nearly 100% fatal without antibiotic treatment and 95% curable with antibiotics. Today it is also vaccine-preventable. For the full story from Matthew’s mother’s point of view, see Rita Swan’s book The Last Strawberry. On December 20 Austin Lewis Sprout, age 16, a junior at Creswell High School in Oregon and a member of the school’s basketball team, died at home from peritonitis after his appendix ruptured. He was sick for about a week and a half with what the family characterized as “flu-like symptoms.” His siblings told investigators that he appeared much better three days before his death (perhaps just after his appendix ruptured and the severe pain went away). For the last two days of his life, however, he could not walk or talk. Amy Hermanson, 7, died in 1986 in Sarasota, Florida. A talented little girl, she took piano, violin, harp, and art lessons, and excelled in academic subjects also. Many teachers and employees at her mother’s business observed Amy’s weight loss and lethargy over a four-week period, but did not report to Child Protection Services (CPS). They did not know she had diabetes. Some assumed the parents were providing medical treatment. One employee said she did not report to CPS because she knew the Hermansons were Christian Scientists and they were “signing [her] paycheck.” A neighbor urged her mother to take her to a doctor, but the mother refused. A few minutes later, Amy crawled in from another room on her hands and knees and begged her mother to take her home. Her aunt said that she was incoherent and unable to focus her eyes the day before she died. The Hermansons were convicted of felony child abuse and third-degree murder. In 1992, however, the Florida Supreme Court overturned their conviction on fair notice grounds. Citing a religious exemption in Florida’s civil code, the Court said, “The statutes have created a trap that the legislature should address.” Twenty-one years later, however, the Florida legislature still has not done so. For fuller accounts, see CHILD Newsletters 1986 Fall, 1989 Volume 1, and 1992 Volume 3. In 1986, Robyn Twitchell, age 2, who lived near Boston, died of peritonitis and a twisted bowel after a five-day illness. It began with his screaming and vomiting. By the second day, his parents Ginger and David Twitchell were calling the Christian Science church’s worldwide public relations manager for advice. He assured them that the law granted them the right to use Christian Science treatment instead of medical treatment. On the fourth day, a church nurse recorded: “Child listless at times, rejecting all food, moaning in pain, three wounds on thigh.” The nurse force-fed him and directed his mother to feed him every half hour. On the fifth day, he was vomiting “a brown, foul-smelling substance.” Autopsy photos showed bright red lips and chin, probably because the acid in the vomit had eaten the skin off. His scrotum and about 15 inches of his ruptured intestine were jet black because their blood supply had been cut off. He was so dehydrated that his skin stayed up when pinched. Neighbors closed their bedroom window so they would not hear the boy’s screams. At the Twitchells’ trial, a Christian Science practitioner testified that she had achieved a complete healing of Robyn and that he had run around happily chasing his kitty cat 15 minutes before he died. Rigor mortis had set in before the parents called 911. Ginger and David Twitchell were convicted of manslaughter in 1990. In 1993 the Massachusetts Supreme Judicial Court overturned the conviction on a technicality, but also ruled that parents had a legal duty to provide necessary medical care for their children regardless of their religious beliefs. Later that year the Massachusetts legislature repealed a religious exemption to a misdemeanor in large part because of public outrage over Robyn’s painful death. Massachusetts today has no religious exemptions in the criminal code and no exemptions in the civil code dealing with medical care for sick children. The state does however have religious exemptions from immunizations, metabolic testing of newborns, and lead poison screening. For fuller accounts, see CHILD Newsletters 1986 Spring, 1990 Volume 3, and 1993 Volume 2. 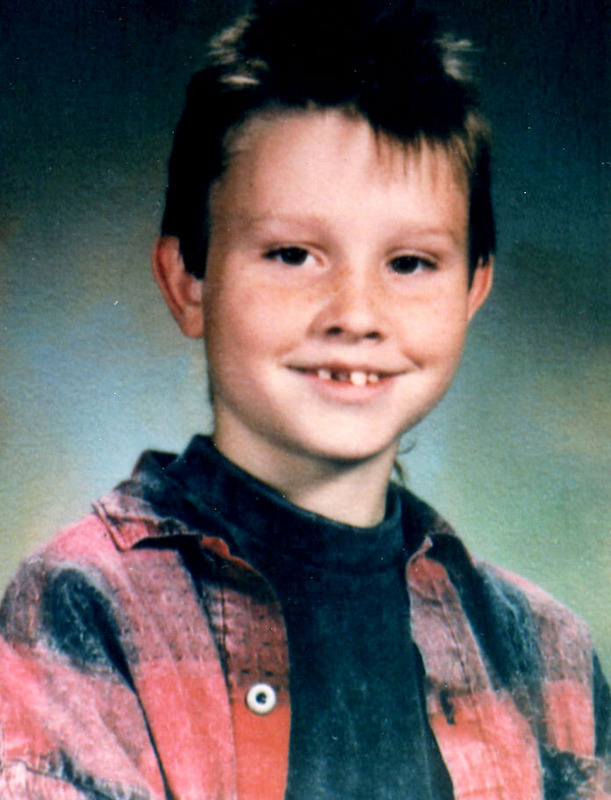 Andrew Wantland, age 12, died of untreated diabetes in LaHabra, California, in 1992. A Christian Science practitioner attempted to heal him with prayer for four days. He lost thirty pounds. On the last day of his life, he was emaciated, vomiting, and urinating frequently. Later in the day he was unable to eat, drink, make eye contact, speak, or move around. His mother, Gayle Quigley, lived in Philadelphia and was not a Christian Scientist. She had joint custody of Andrew and had made it clear that she wanted medical care provided for her children. Nevertheless, neither Andrew’s father, the Christian Science faith healer, nor other church officials informed Mrs. Quigley that her son was ill.
No criminal charges were filed in the boy’s death. Mrs. Quigley filed a civil wrongful death action against the Christian Science church, the practitioner, Andrew’s father, grandmother, and others. The district court, however, ruled that only the father could be held responsible, and an appellate court upheld the ruling in a split decision. Quigley then dropped the suit. See Quigley v. The First Church of Christ, Scientist, et al., 76 Cal. Rep. 2nd 792. In 1998 two-year-old Harrison Johnson, shown here with his friend Megan, was stung 432 times by wasps while the family was visiting church friends in Tampa, Florida. His parents asked neighborhood children and fellow church members to pray for him, but did not call for medical help until more than 7 hours after the attack. Six minutes after the 911 call, the EMT’s arrived to find the toddler without a pulse and not breathing. His pupils were fixed and dilated. His parents admitted the boy had been unresponsive for 30 to 45 minutes. An Orlando pediatrician told the press that the toddler would likely have displayed alarming symptoms. He would have been crying and in great pain until he slipped into shock. His lungs would have filled with fluid. His parents belong to a group called The Fellowship, which reportedly shuns all medical care on grounds that doctors practice witchcraft. A former medical nurse, Carol Balizet, of Tampa attended Harrison’s home delivery and was present with him for several hours after he was stung. She advised the parents that he did not need medical care. Her book BORN IN ZION promotes Christian home births and argues that medical care is linked to pagan witchcraft. The Johnsons were charged with felony child abuse. The judge, however, instructed the jury that the state must prove that the parents willfully or intentionally caused the harm to the child. The jury acquitted. For the full accounts see CHILD Newsletters 1998 Volume 3, 1999 Volume 1 & 2, and 2000 Volume 4. At the age of five, Nancy Brewster of El Paso, Texas, developed lumps on her neck and threw up repeatedly. She was too sick to go to school after first grade. A Christian Science practitioner prayed for Nancy. She urged the girl and her mother to deny the symptoms of the illness as an illusion. Nancy was constantly told that she was God’s perfect child and nothing could be wrong with her. Nancy’s big sister published an obituary and held a memorial service for Nancy on the 40th anniversary of her death, and publishes an In Memoriam every year to honor and remember Nancy. after he and his guardian refused transfusions on the basis of their Jehovah’s Witness faith. Dennis was in eighth grade and had turned 14 in September. The photo at right was taken in 2003. During the boy’s early years his parents were addicted to methamphetamines and did not provide him stability. Dennis went to Mt. Vernon, Washington, to live with his aunt, who became his legal guardian. On November 8, Dennis was diagnosed with acute lymphocytic leukemia. Doctors at Children’s recommended a three-year program of chemotherapy and reportedly warned that many blood transfusions would also be necessary to prevent fatal side-effects from the chemotherapy. Dennis and his aunt declared that as Jehovah’s Witnesses they could not accept transfusions, but wanted the best medical treatment available without blood. Chemotherapy treatments were given, but soon had to be stopped because the boy, predictably, developed severe anemia and an enlarged heart. On November 26 Dennis’ grandmother contacted CHILD. We advised her to contact Child Protection Services. CPS immediately contacted the biological parents, flew them to Seattle, and arranged a court hearing for the next morning. Though CPS petitioned for custody and the parents told the court they wanted their son transfused, the judge ruled that Dennis was a mature minor who had made an independent choice to die. By the time Meyer heard the case, Dennis was unconscious. The judge did not see him or speak with him. The boy was also unconscious by the time the court allowed his father to visit him. They said they were “helping Children’s Hospital learn” how to treat leukemia without using blood. By November 22, chemotherapy had been discontinued because of the boy’s severe anemia. Soon afterwards the journal on Dennis Lindberg was removed from the webpage. For a discussion of legal and ethical issues raised by this case, see CHILD Newsletter 2007 Volume #4. In 2012, Arrian Jade Granden, 15, died at her home in Parma, Idaho, after suffering nausea and vomiting for three days. She became weak and lethargic and unable to eat or drink. She was unconscious for four or five hours and then suffered cardiac arrest. The pathologist found gastrointestinal hemorrhage and a ruptured esophagus. Her parents belong to the Followers of Christ Church, which believes in prayer and ritual for healing disease and discourages medical care. Many family and friends were in her home when public officials arrived, but no one had called for medical help. Arrian had five brothers and two sisters; she was the third oldest. In many ways, Arrian was a typical teen-age girl. She loved snowboarding and running track. She was a bit obsessed with boys, was fond of both elegant dresses and torn jeans, and loved to take pictures with her girlfriends. A few months before her death she had gotten a new dog. The last posting on her Facebook page was simply, “Can’t wait for school.” She was full of life. On March 18, 2009, Zachery Swezey of Carlton, Washington, died at home of a ruptured appendix a few months before his eighteenth birthday. He and his family belonged to the Church of the Firstborn, which has let scores of children die without medical care. His parents, Greg and JaLea Swezey, told investigators they first thought he had food poisoning and later perhaps the flu. Over three days he ran a fever and was vomiting with severe diarrhea. Aunts, uncles, and grandparents came to his bedside to pray. On March 17 Mr. Swezey called church elders who came to their home, prayed for Zachery, and anointed him with olive oil as the family waited outside in the hall. The next day Zachery told his mother he loved her and asked for his father to come to his bedside. His breathing slowed, his hands became cold and blue, and he died. On April 26, 2012, four-year-old Troy Damelio died of Rocky Mountain spotted fever in the family’s mobile home near Chandler, Oklahoma. His Church of the Firstborn parents told authorities he had been sick with a fever for about a week, but got him no medical care. Lincoln County District Attorney Richard Smothermon announced that no charges would be filed. “The law is clear that [the parents] legally can withhold medical care based on religious beliefs,” the press reported him as saying. For a fuller story, see CHILD Newsletter 2012 Volume #2, page 4. Shauntay Walker, age 4, died of meningitis in Sacramento, California, in 1984. Her mother was an adult convert to Christian Science and got her no medical treatment. Shauntay was home sick from nursery school for 17 days, but the school staff did not report to Child Protection Services. Her aunt observed that the little girl was comatose and threatened to call the police. Shauntay’s mother then moved her to a Christian Scientist’s home where she died. Shauntay weighed only 29 pounds at death. For fuller accounts, see CHILD Newsletters 1984 Summer, 1988 Fall, 1990 Volume 2, and 1992 Volume 3. On December 21, 2010, Colorado had another child fatality in the Church of the Firstborn. Three-year-old Rhett Ferguson died in Cortez, Colorado, of acute tonsillitis, acute pneumonia, and sepsis due to Staphylococcus aureus. For more, see CHILD Newsletter 2010 Volume #4, page 8.